Lace Up Leisure Shoes EEE Fit is rated 4.0 out of 5 by 2. 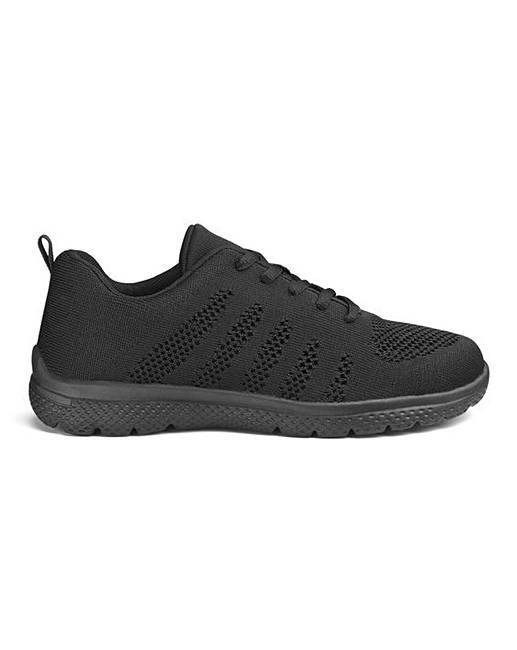 These lightweight lace-up trainers have soft uppers and padded foam sock for added comfort. 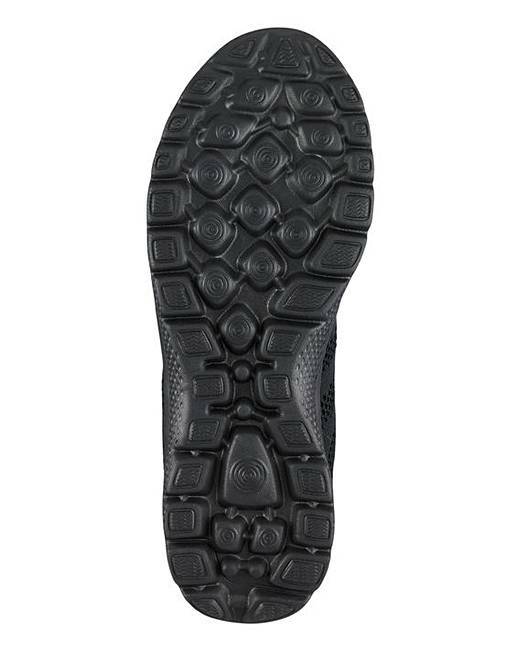 Finished on a flexible sole. They are ideal for both leisure and sporting activities. Rated 5 out of 5 by Margy from Love these trainers, so comfortable.. 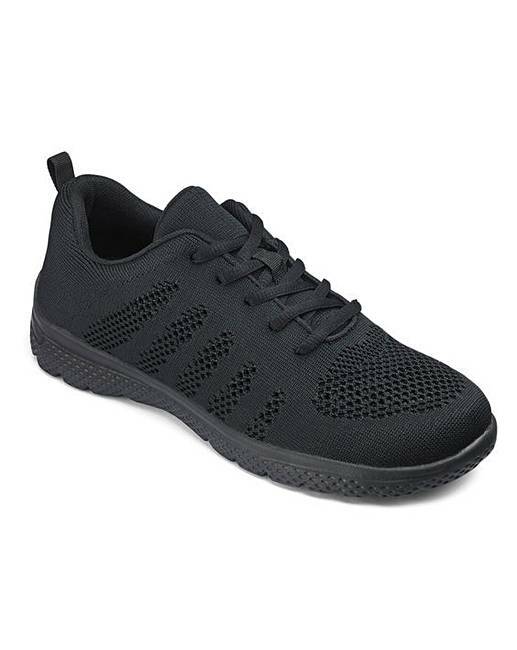 I bought these trainers about 4 weeks ago & love them great quality. Rated 3 out of 5 by Saficat from I did not like these trainers much I returned these as unsuitable for me. Initially I was delighted to find (at last!) 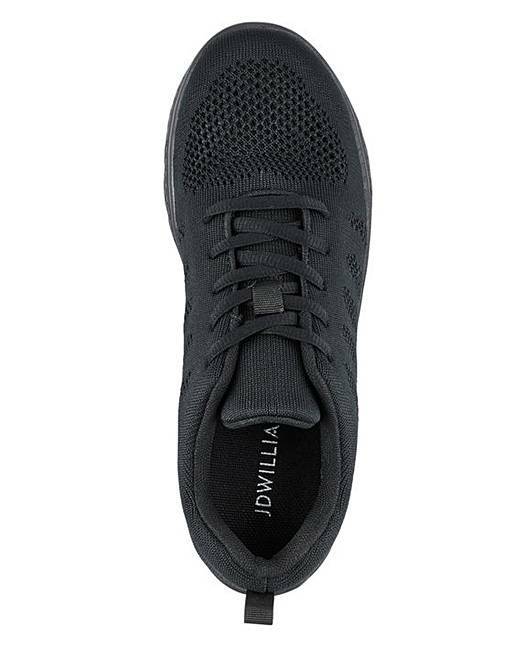 a pair of all black trainers without the irritating white soles which I dislike so much, but my delight was short lived. The shoes are a small fitting lengthwise and barely a wide width fitting, which seems all too common these days, and they are also quite soft and unstructured (like pumps) which led to rather an odd shape on the foot. So no, all in all they were not for me.